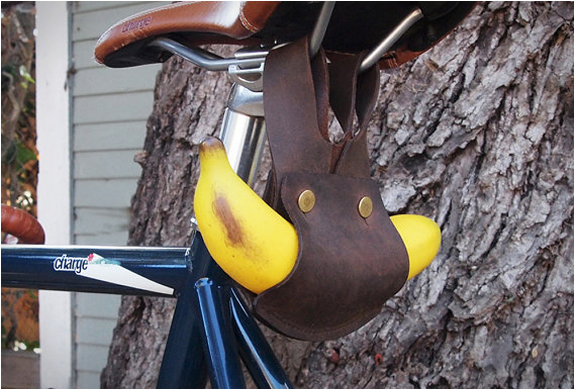 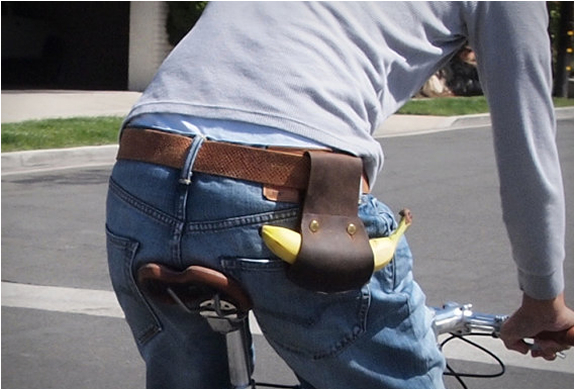 We have posted many cool and useful accessories for carrying stuff on your bike, the 6 pack holder, the Wine Rack, the Seat Barrel Bag, the Challenge Tool Bag, the U-lock Holster, but none as unusual as this Banana Holder! 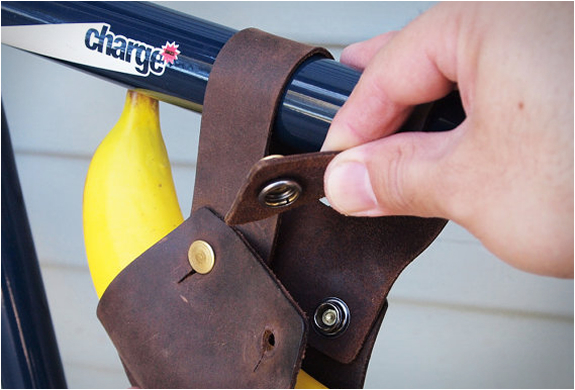 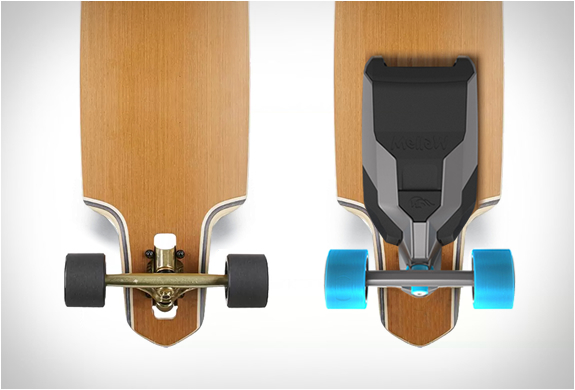 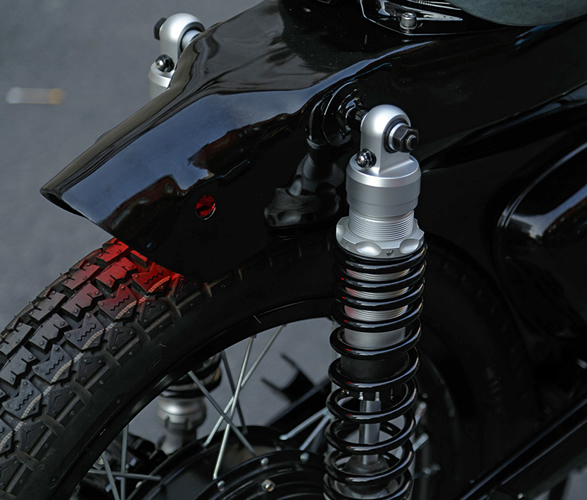 Made of genuine leather the original accessory is designed to allow riders to safely carry and easily access a banana. 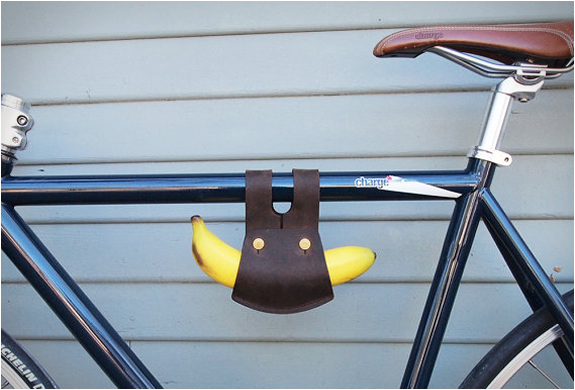 You can hang the banana holder on a bike frame as well as your waist belt. 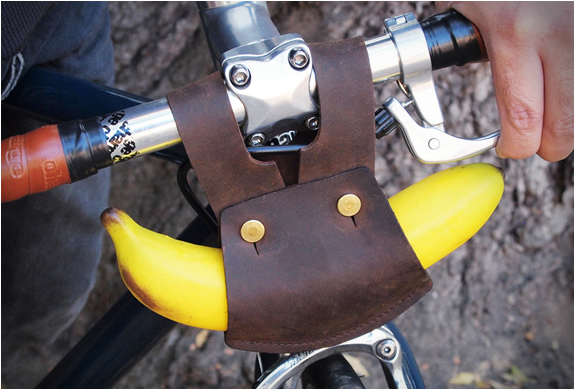 Bananas are a natural energy bar, and their high potassium levels make them ideal for recovery, now you have the perfect way to carry it whilst cycling.